Clarksville, TN – This Friday and Saturday, May 6th and 7th, Hilltop Super Market will host the Dwayne Byard Memorial BBQ Cook Off and Car Show. This event is being held in honor of Dwayne Byard who past away last year. The car show is Friday night and the BBQ Cook Off will be on Saturday. On Friday night, there will be live music, food, games and of course the Car Show. 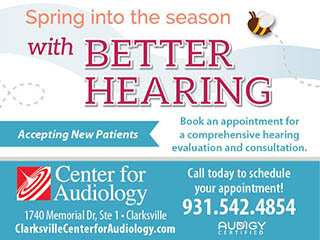 This year, there will be two food booths selling BBQ, ribs, ribeye steak sandwiches and more. A video bus will be there that will allow 2-3 people at a time to get on board and play video games. There will be an air tunnel you walk through that blows pieces of paper up into the air for you to catch. Some of those pieces of paper will be good for cash prizes, one will be for a BBQ grill. Entertainment for the evening will be provided by local favorites Back Lot Pickers and the Modern Day Drifters. 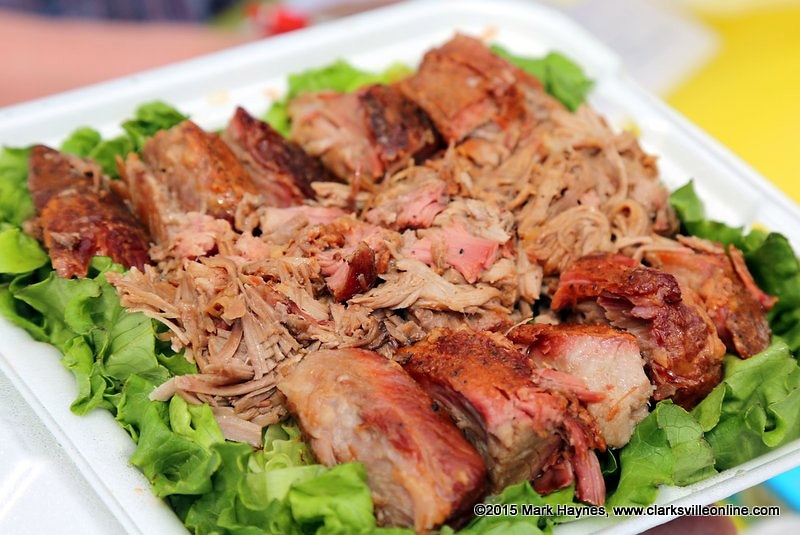 The BBQ Cook Off will take place Saturday, May 7th. The categories this year are chicken, ribs, pork and dessert. 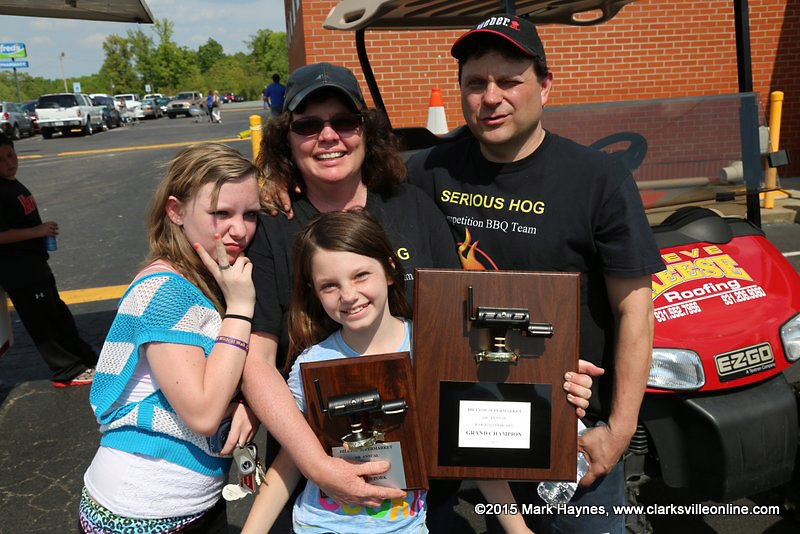 Serious Hog won Grand Champion at the 2015 Hilltop BBQ Cook-Off. (L to R) Lexie Schimmel, Caden Schimmel, Lisa Rooks and Matt Rooks. The Judging Team will consist of Montgomery County Mayor Jim Durrett and Montgomery County Sheriff John Fuson along with other people in the local community. The judging will start with chicken at 12:00pm, then spare ribs at 12:30pm, pork at 1:00pm and finally dessert at 1:30pm. Winners will be announced sometime after 2:00pm once all the scores have been totaled.